Come celebrate local history and go on a pub crawl with the Lincoln Society in Peekskill! 11:30 Lincoln Exedra program on South Street, then parade down South St. to Lincoln Depot Museum. 12:15 In front of the Lincoln Depot Museum – Re-enactment program. Peekskill, in the years before, during and after the “Age of Lincoln” was a nexus for artistry, innovation and invention in the fields of communication and manufacturing. Its scenic location at the entrance to the Hudson Highlands made it a favorite for painters of the Hudson River School, the best-known local artist being Frank Anderson. 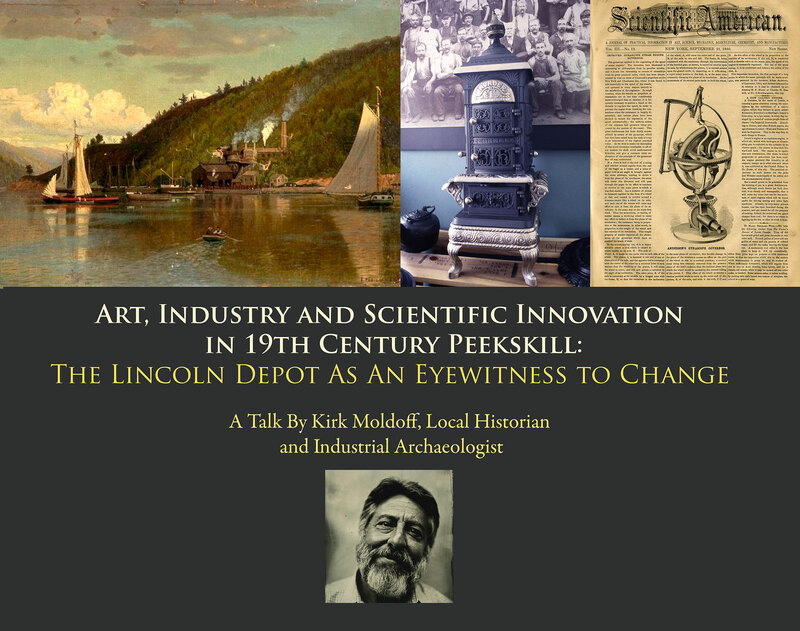 This talk looks at the development interrelationships of this community of manufacturers, innovators, artists and artisans that existed within a stone’s throw of the Depot, a constant through the rise and fall of industrial Peekskill. Kirk Moldoff is a medical illustrator and animator with a passion for industrial archaeology, local history and cast iron stoves. He is a former Trustee of the Peekskill Museum, recipient of the Chester A. Smith Award, and served as a past Chairman of the City of Peekskill Historic Preservation Advisory Board.